Several smartphone manufacturers are discussing eye biometrics for device security. Retina scanning and iris scanning are described as security measures for upcoming devices. In particular, reports in early 2014 have several sources referencing some sort of "eye scanning" for the Samsung Galaxy S5 due out in Q1 2014. While these technologies may be under consideration by Samsung, those reporting this technology should strive to state the technology correctly. Is this iris scanning, or retina scanning? Let's be clear, these are two radically separate technologies. Apple's introduction of the "retina display" with the iPhone 4 in June of 2010 has placed the term "retina" firmly in the minds of technology media. It's only natural that those not intimately familiar with the anatomy of the eye might confuse these terms. The iris is clearly visible as you view an eye. Note the complex pattern that is obvious in this iris image. No two irises will have identical patterns. They are indeed as unique as fingerprints. Iris scanning is the more straightforward of these two biometrics for a device such as a smartphone. Iris scanning requires a high resolution image of the outer visible surface of the eye. Namely, an image of the colored portion of the eye - the iris. 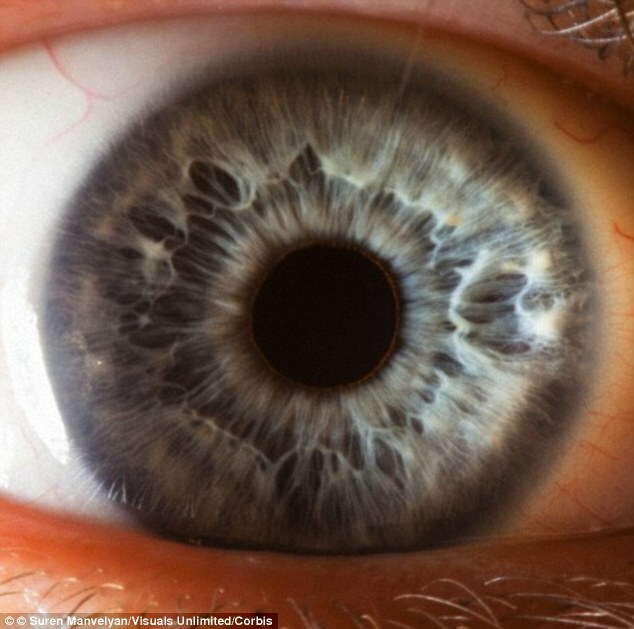 The iris is readily visible from the exterior of the eye and could easily be photographed by a forward facing camera on a handheld device. At least in theory, comparing an image of the iris to a reference image should be a pretty straightforward thing. Additionally, iris structure is unique not only to the person, but also to the individual eye. Your right iris will be distinctly different from your left iris and both will be different from any other person, much like fingerprints. As for retina scanning, yes your retinas have a unique pattern that can be scanned. That pattern is formed by the network of blood vessels that supply the retina with oxygen and nutrients. The retinal blood vessel pattern is incredibly complex and is certainly unique. Arguably the retina pattern is more complex than an iris pattern and might provide a more secure identity confirmation. Here though we reach a confounding problem. Accessibility. The retina, unlike the iris is very much inside the eye. In fact, the retina is the inner, most posterior surface of the eyeball. 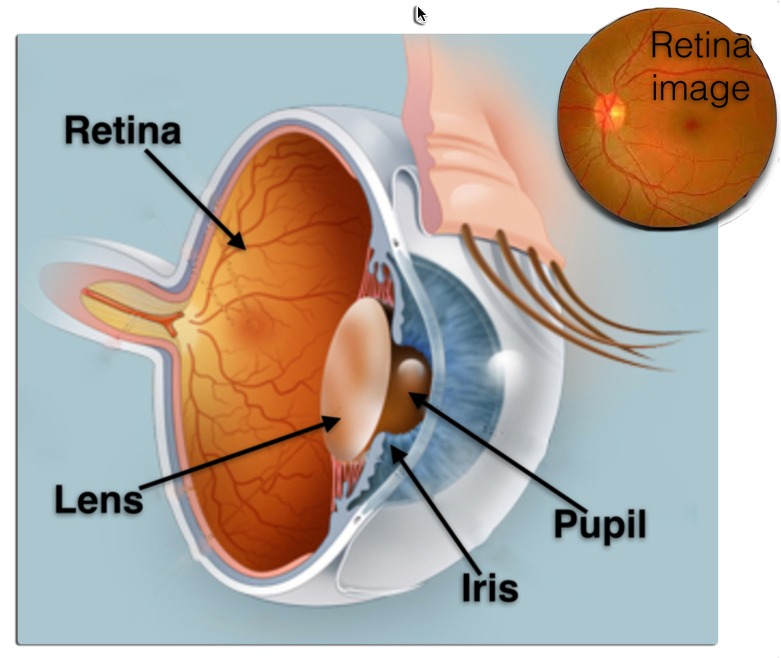 To view the retina one must image through the pupil, through the lens, through all of the interior structure of the eye. Have you ever been for an eye exam and had the doctor or technician place your head in the device where your chin is cupped in a lower frame while your forehead rests against a brace and you are asked to hold perfectly still? If so you realize just what sort of precise alignment and up-close & personal interaction with a device is required for an accurate retinal image capture. Given these limitations, I sincerely doubt we will be encountering smartphones using retinal image technology any time soon. Hand held eye-biometric devices for the foreseeable future, are far more likely to use iris scanning.